So Valentine's is over and done with for another year, but we aren't ready to say goodbye to the hearts just yet. In fact, we probably never will be, sorry! 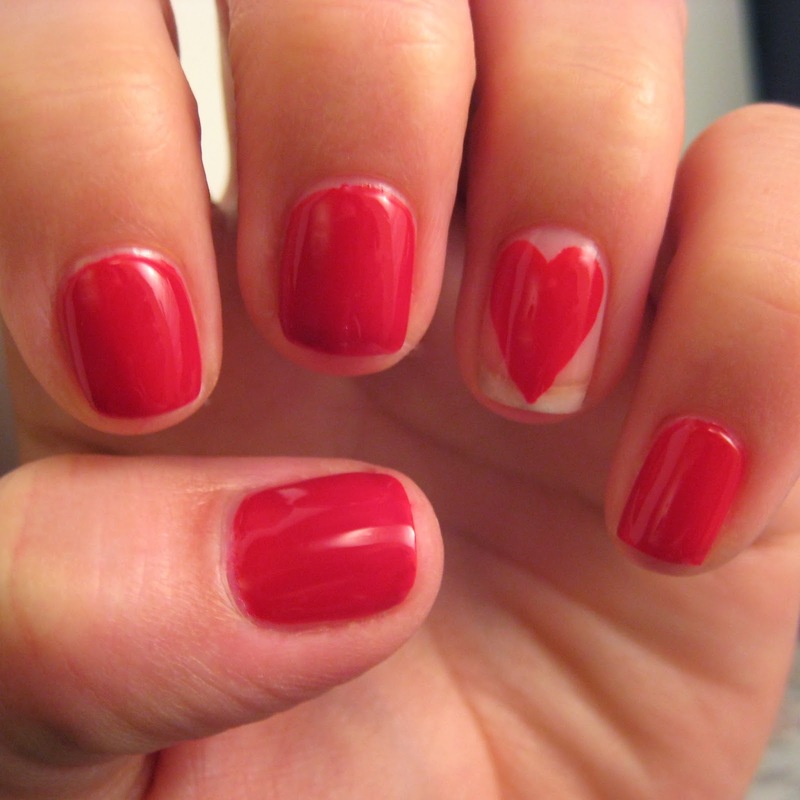 Hearts and nails just go so well together, there are at least 3 heart-based nail designs floating around my head at any one time. This time instead of Bright Red I used Barry M's Gelly Red which is a thicker, darker polish. I find that most red polishes are thin and opaque, which means they need three coats and I'm way too lazy for that! I was glad to find that the Gelly polish was opaque with two coats, or maybe even one if you apply thickly. The colour of this polish is not as bright as my previous reds. Although this is only a subtle difference it makes it a lot more wearable. An opinion I'm sticking to even if my colleague re-named it 'Prostitute Red' - I chose to ignore her (thanks TDS). I love this mani but think I prefer the negative space on the inside of the nail with polish surrounding it as I kept thinking I'd chipped my nails, and a few others mentioned that too. What's your favourite negative space mani you've seen recently?